As off, we all know that – WordPress is an online, open source site building tool that has been written in PHP. In fact, it is apparently the most powerful blogging platform and CMS (Content Management System). Further, the best thing is – it is fully customized from various themes and plugins. Lately, in accordance with a survey, WordPress has certified millions of people to start their own sites and business online. Whereas there are also many others platforms, but most of the peoples do not prefer them. Finally, it is a most trustable platform. However, the users say that – it is the best way to stand out your online business. Continually, since 2003 it has made so many updates, but soon we are going to see WordPress 5.0 updates. The Gutenberg technology’s integration is a big change, which will no longer need the code. Moreover, instead of using the standard editor that we have seen, this format will use the blocks. 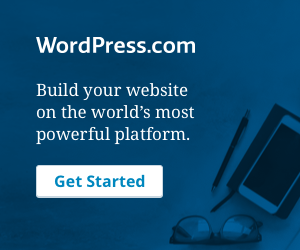 In spite of this, why WordPress has decided to migrate yourself in the direction of rich content. Because of this – Squarespace, Weebly, and Wix (currently shared hosted platforms) have been increasing in popularity along with their advanced features. Further, the block format means to break your editing palette into various parts instead of breaking the traditional WYSIWYG editor. For example – one block would be for your headline while the another for your images, main content, etc. In case you want to update these block on any other page that uses the same items, then editing will implement to multiple pages at a time. Along with, it also makes the column’s editing more easier because now you will not need to tweak any code. Now, in beta release, the new feature is a plugin which is to try out. After being fully released, the site owners will be able to return to their classic editors. However, this empowers a simple transition to the new format. Note: WordPress 5.0 updates will be the first “major” release of 2018, containing the new editor, codenamed “Gutenberg”. Gutenberg is the new post editor that will take the place of classic WYSIWYG editor in WordPress. Further, it takes the spotlight in the new release of WordPress 5.0. Meanwhile to say, Gutenberg will succor the users to create the posts and pages through the use of blocks. Consequently, visual editing and the blocks have been combined in the WordPress Community when it comes to taking a site from design to development, managing content, and products. However, these visual editors use the “blocks” to help content-rich home pages and structure content created by the users in a way that is visually appealing. At present, there is the need for third plugins to use the blocks. Subsequently, the Gutenberg bring the functionality from WordPress and make it simpler than ever for creating content-rich pages, awesome-looking. In accordance with WordPress explanation, blocks are “the abstract term that is used to express markup units that composed together. In addition, they form the content or layout of a webpage”. Furthermore, the blocks are made up of different formats of content containing images, plugins, text, and videos. Without any substantial background coding, make your site look visually attractive via blocks. However, using the blocks, the businesses will be able to place the content at the forefront of design and make it simpler for the designer, developers, and WordPress users. As off, the WordPress has not given a particular release date yet. But the launching possibility is in the mid of 2018. Further, you will have a notification on WordPress admin updates page when the update is available. But, in this time period, you can see the upcoming changes and can test-drive the Gutenberg. Before updating it, you need to create a WordPress database backup. The WordPress 5.0 can break the themes. Keep calm because the transition to Gutenberg will not be easy. With blocks, the WordPress 5.0 will replace everything even plugins. To use the themes and plugins you will have to make the various way. Make sure that before upgrading your WordPress site is not hacked. Run it through the scanner. Check our WordPress Security Services. Now, let’s have an in-depth look towards how to get your site ready for WordPress 5.0 updates. Here are some steps that will prepare your site for the WordPress 5.0 updates before it coming to the market. Bending towards the point! Still, WordPress is receiving feedback from the users on the format of new content. Further, a support forum has been set up to work out the bugs where the visitors can submit their feedback. And before the final release, it can succor to improve the developer. In case you get stuck yourself, you can search many questions & answers in the forum. Thereafter the installation process, you can use the classic editor and check out the new Gutenberg format. However, it will also appear in your dashboard menu, so that you can switch back & forth. Continuously, if you have several clients with their sites, the use of this plugin is very important. So that you can assist to prepare their own installations and guide them via new format. You should install the classic editor before Gutenberg becomes a permanent installation and enable this before you upgrade. After the activation process, you can configure this to return to the classic mode. This can protect you from being hijacked by the new block format. As off, along with any new installation you will require to build your site staged version. For this, the user may need a developer who knows how to set up this. However, without impacting your present WordPress installation, it provides a safe environment to check out the entirely new version. There are many plugins are free but the developers may not be prepared for WordPress 5.0. However, it is important to update these smoothly and see for any system that is not compatible with the new system. Thereafter, if you face any error, then this will enable you to know which one is causing the error. Within a long time of interval, it is one of the longest updates. Now it will be the best practice to perform the backup of your present WordPress installation smoothly. Further, there are also a lot of plugins that work well for this such as BackupBuddy and BackUpWordPress. However, you should achieve the health checkup and site audits to ensure that without any error, all of your code & functionality is up to date. The users may want to consider to buy a professional version from the brands such as ThemeForest, StudioPress, and Astra if the users have a free theme installed. Furthermore, in order to keep up with the latest change the most common users will performing the frequent updates. Last but not least, responsively WordPress has kept quite documents support together to assist you in a good manner and to understand WordPress 5.0 new update. However, in their online documentation, a detailed has explained of What Gutenberg is in detail. Further, It also explains the code language in details involved in API for blocks, function, and the use of blocks. In accordance with the new technology such as AI and mobile, the site development and software moves forward into the future. Therefore, we should expect to view these updates on others platforms as well, but not only on WordPress. Continually, to create and publish content, the user-friendly rich text option has become the new way. As per the expectation, there will be the bumps along the way. There is only the time can tell whether this will be new is normal for WordPress or not. Gutenberg WordPress editor is one of the most inspiring features for WordPress. Further, its name is placed at the name of Johannes Gutenberg, who invented a movable-type printing press. However, it’s aim is to make the WordPress easier for the beginners. At present, it is in its own beta and testing phase. Additionally, it does not prepare yet to run on the production site. Front-end editor works like you use a mobile phone and touch the screen to change the text. However, it is along with the WordPress for a long time. Moreover, for a lot of years, the visual composer is dominating on the Front-end Editor plugin. However, the Front-end Editor for WordPress is faster & lighter than the visual composer. Changing the background of a site is the most boring process. Generally, this process includes the background image selection, manual cropping and then uploading. Before it goes live, we can get the chance to crop the image. Is it not a good feature? Basically, it decreases the important time in changing the background image flow. Hence, WordPress 5.0 release has new security plugins to offer WordPress security against the data breaches and cyber attacks. To improve the user’s experiences day by day, the mobile optimization taking its toll. However, for both users and developers, WordPress authority is the best way to do the same. Consequently, there is the majority of WordPress themes are now responsive. Along with, decreasing the differences between mobile and desktop has become a routine for the company. Bending towards the installation – You can download the Gutenberg from the WordPress repository or by finding for it in WordPress dashboard under “Add New” plugins. However, we suggest you – first installing this on a test site. The very first thing you need to go to “Plugins>>Add New”. Thereafter, you have to search for “Gutenberg”. Now, install and activate the plugin. After the installation process, on the bottom of your left side toolbar, you will see a “Gutenberg” menu. This will be best for “Demo”. Now, when you create a new post at the time of plugin is running, then you will also get the Gutenberg experience. Looking forward to the new version, we’ll portray the pros and cons of the WordPress 5.0 Gutenberg Editor. With wide screen space, it provides the less confusing experience. By using Gutenberg editor, you can make a quick edit on your phone while on the go. To create their own custom blocks, it has the ability for theme and plugin developers. With the full-width templates and responsive sites, the blocks and the new alignment option are best to use. Writers who like the newer medium style editing experience, they have the possibility to love the WordPress Gutenberg editor. Missing Markdown support at present. It does not support responsive columns yet. The backward compatibility is going to be a large issue with so many themes and plugins. Till October 2017, the Gutenberg does support meta boxes. However, this support is only the initial support. The developers will need to hop on board. As we all know that – The security flaw can be proven very harmful for online business! However, the security of the site is not a new issue. But, this is definitely a matter of concern. OTP or backup verification code. In the future release, the WordPress authority has the possibility of continually improving its security, that can be for WordPress 5.0. However, it is in the beta state and you can receive the entire updates in the coming 2018 year’s days. How Will This Impact The E-Commerce Websites? Dealing with the WordPress 5.0; seems to be interesting – As off, the WordPress 5.0 is not a small conversion. But, still, the WordPress is finding various ways that will affect different types of sites. 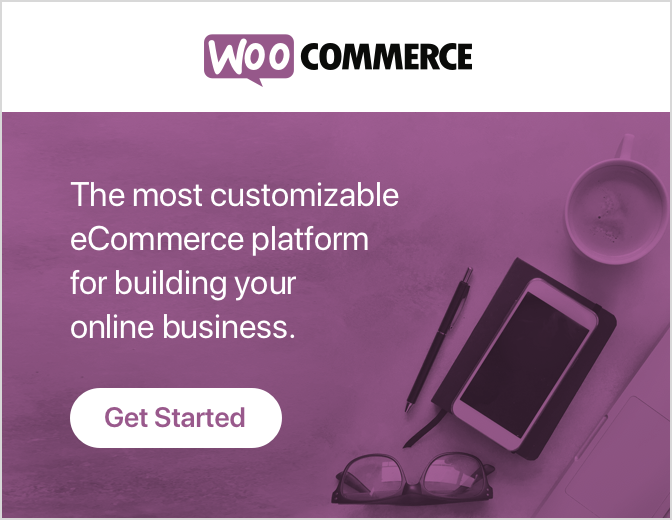 We all know that – WooCommerce is an open source & one of the most popular WordPress e-commerce plugins. Further, to entirely understand the impact, it is still investigating with the Gutenberg. Note: With the new release, adding the products into WordPress could be easier. However, it may take some getting used to. Furthermore, many other plugins will need to see and make the necessary changes to ensure that the integration into WordPress 5.0 is faultless and improved. Through the use of blocks, the e-commerce integration will be simplified. However, the user can create the page easily by the use of blocks and insert all the pieces they would like added to the page. Hope this beginner guide for WordPress 5.0 & structure is helpful for you. In case of any related problem, contact to our WordPress tech Support team now to get instant help. Dial +1-844-275-0975 (Toll-Free).